This year the Hartley Cup was held in Anstruther and hosted by the Anster Haddies. After having such an enjoyable time last year, I signed up again to give it a second go and have another fab day out with my running club The Wee County Harriers. 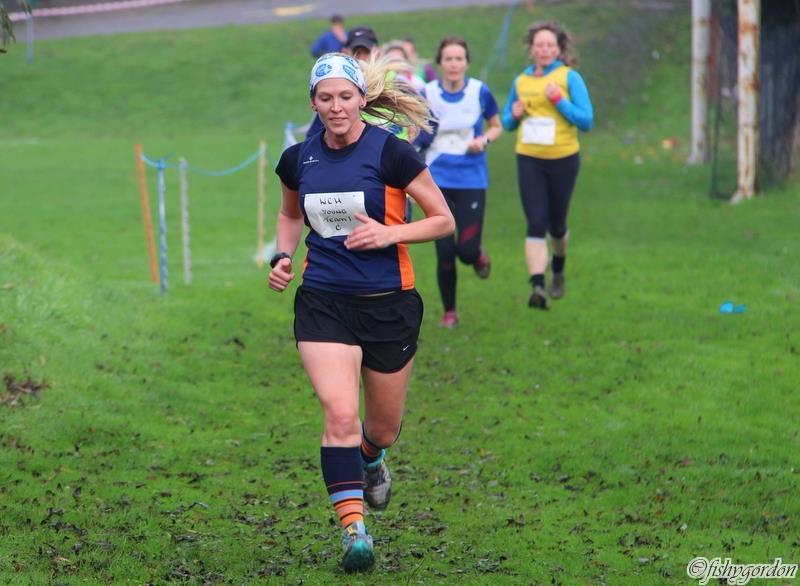 This annual event which is hosted and attended by smallish clubs from around Scotland is, just like most other events in the racing calendar, getting more and more popular and the years go on. This year around 52 teams entered, consisting of male, female and mixed teams. Knowing we didn’t have enough fast males there to keep up with the competition (and they are FAST! ), we decided to enter 3 mixed teams and a ladies team. 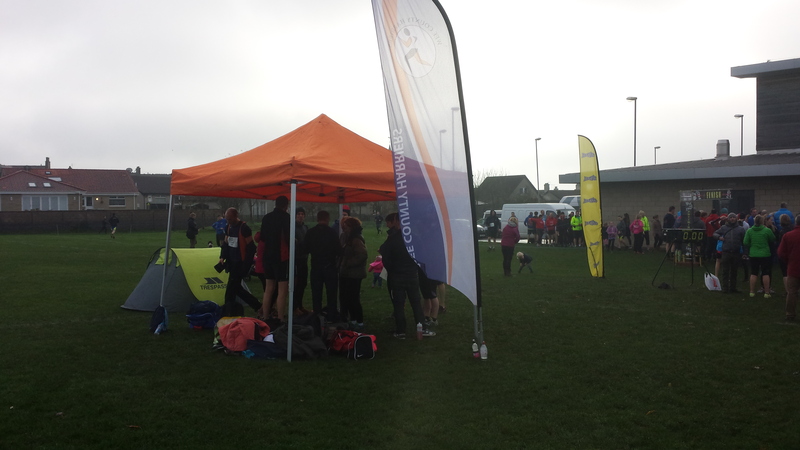 Huddling in the tent for warmth at the beginning of the race! 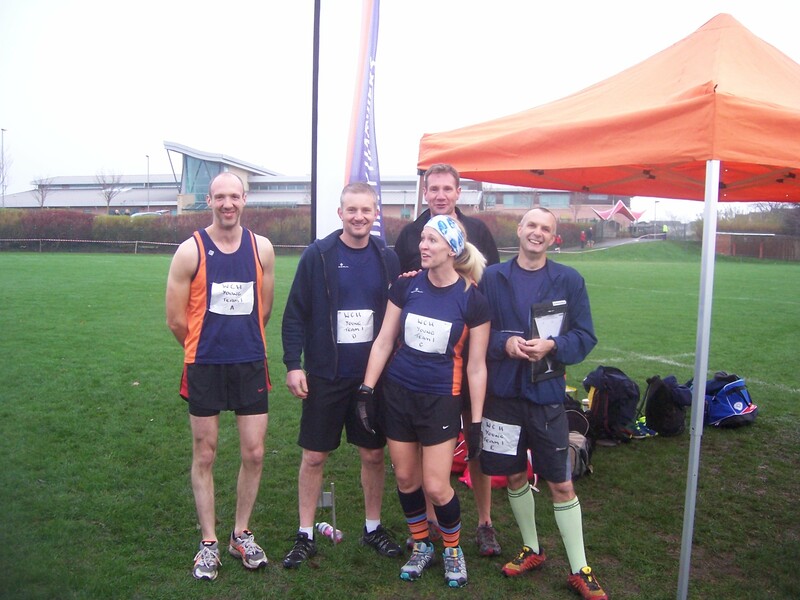 Last year our first mixed team had placed 3rd over all but this year there were a lot more teams and runners so we had no idea of the level of competition. 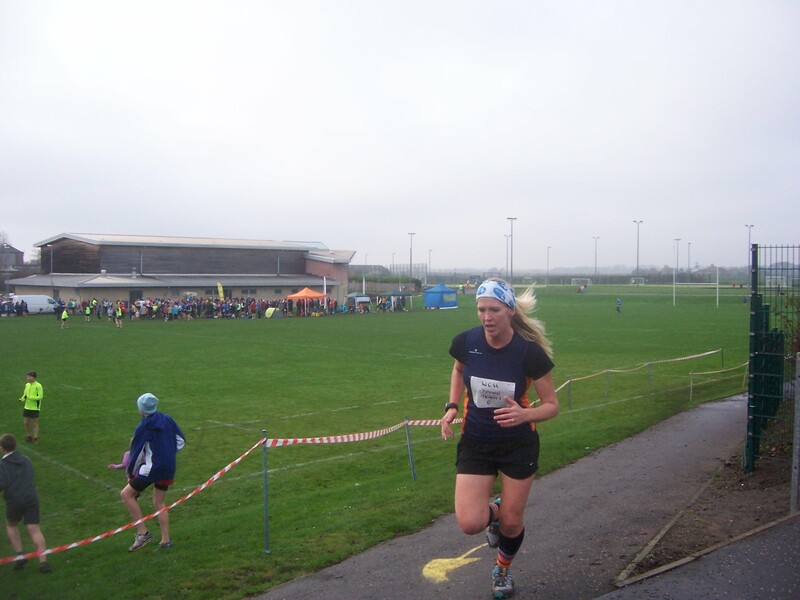 The course this year was the perfect cross county course – wet grass, mud and a few steep ups and downs. The route was just over a mile long and was mostly on grass playing fields, going around the perimeter of a pitch, looping back the way you came in, then going around another field, over a hill and across a car park then across the grass which had a few hidden ditches, up a concrete slope and into yet another field which we again ran the perimeter of and then back down a super steep grass hill that catapulted you back to the start line. With there being so many of us, the start was staggered into the men starting first, followed a minute later by the ladies followed another minute later by the mixed teams. Hoping someone might give me a piggy back…. 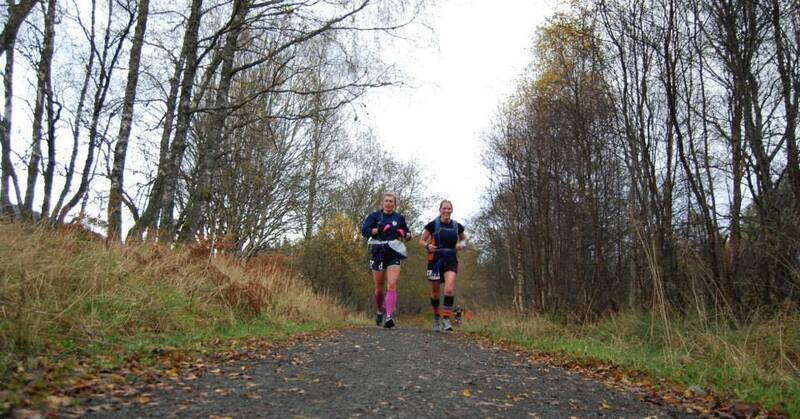 Our race plan was simple – Go, run, don’t fall, stop, rest, go again. And don’t fall. Easier said than done! This doesn’t look like much a hill… but it was pretty steep! I can’t remember much about the second round apart from having to keep times for a bit and struggling to press stop watch buttons and write things down as my fingers had gone numb. 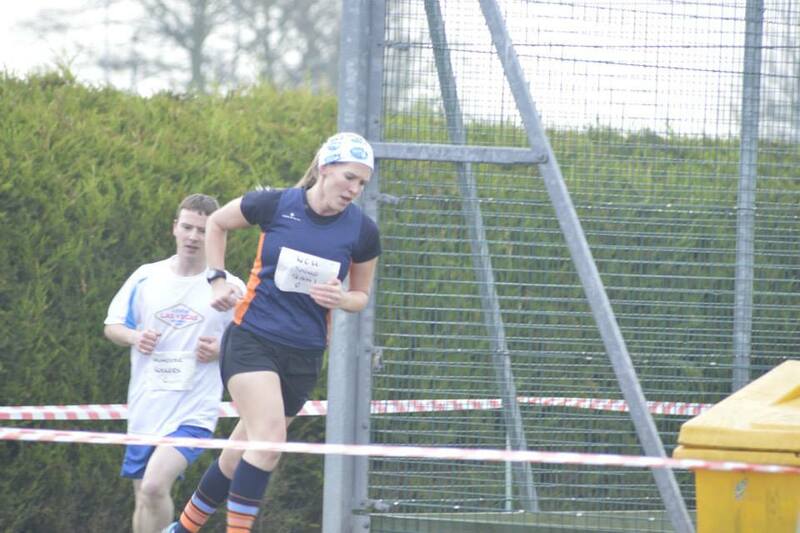 Everyone was running well and the atmosphere was amazing. So many people had shown up to cheer everyone on and they were all so supportive. 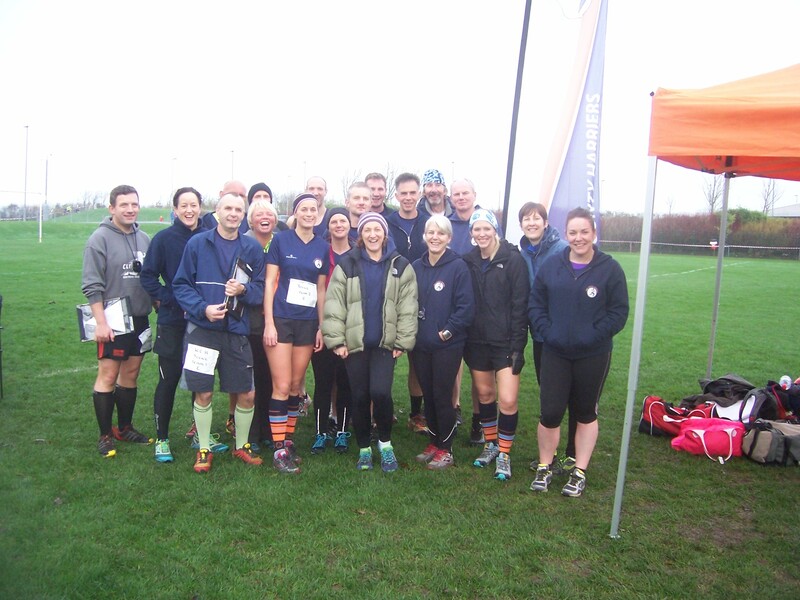 Our team all had another great run on lap 2 with times being a few seconds faster or slower than our first lap times and everyone having a really good time (except possibly the guy who face planted in the mud in front of me and I practically stood on – sorry about that!). Once all our teams were in we went back to the community center for yet another wonderful post race spread. The ONLY bad thing I could say about this was the size of the room vs. the number of runners. You just couldn’t get moving and then trying to get back out the room with a plate of food in one hand and a hot cup of tea in the other wasn’t much fun. However the selection of sandwiches and cakes were second to none and there was still plenty to go round even though we were in a lot later than others. Well done Anster Haddies! I did smile… just not at the right time! 5th out of 26 mixed teams. Not bad!! We only JUST missed out on a top 3 placing with just over a minute between 3rd, 4th and 5th place. Never mind, there’s always next year! With prize giving over, we all climbed back into the car and sleepily made our way home from the East Neuk. It is a long and tiring day out considering we only ran 2 miles each, but it’s 2 of the best miles and some that I look forward to every year. 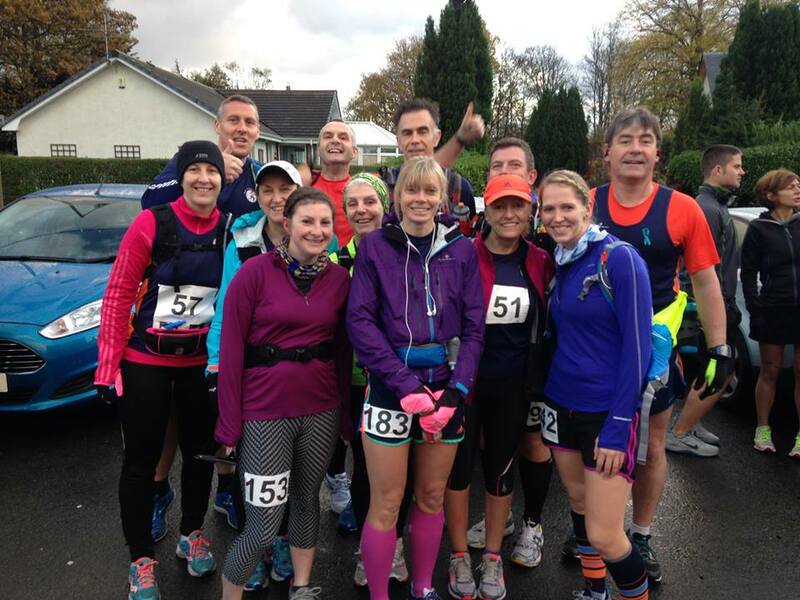 The Up & Running Gartmorn 6 – Come along & get muddy! 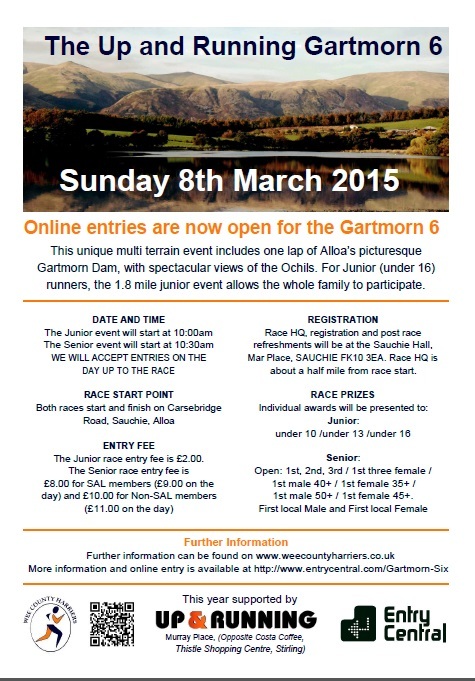 My running club, The Wee County Harriers host an annual event in March which takes place around a scenic body of water called the Gartmorn Dam. It’s a fabulous no thrills event but for the low price of £10 (£8 SAF affiliated) you get to run fast for 6 miles, get very, VERY muddy and then get to eat until you can’t move as we put on a rather fabulous post race spread – this year tables sighed from the sheer weight of the amount of food we brought and I’m sure we’ll try and better ourselves next year! Craig was on photographer duties this year and got some cracking pictures. 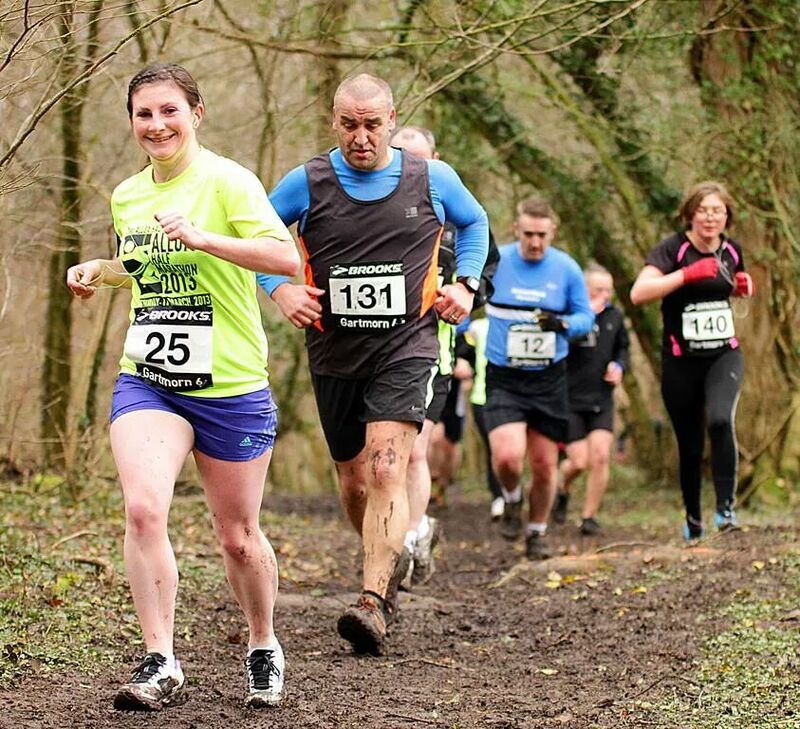 I was marshaling so didn’t get to run, but Jemma was clearly having a fabulous muddy time. Before I get started, I’d like to apologise for the fact that my blog seems to just be a steady stream of race reports recently. The plan was always to update it more often with training/life/etc as well… but the whole life/work/training/sleeping balance has been way off recently. However, I plan to rectify that asap! 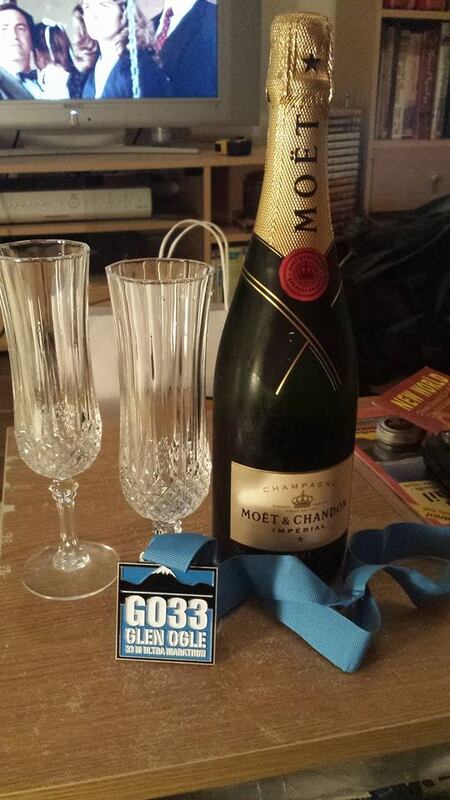 The only thing worth drinking after an ultra marathon! 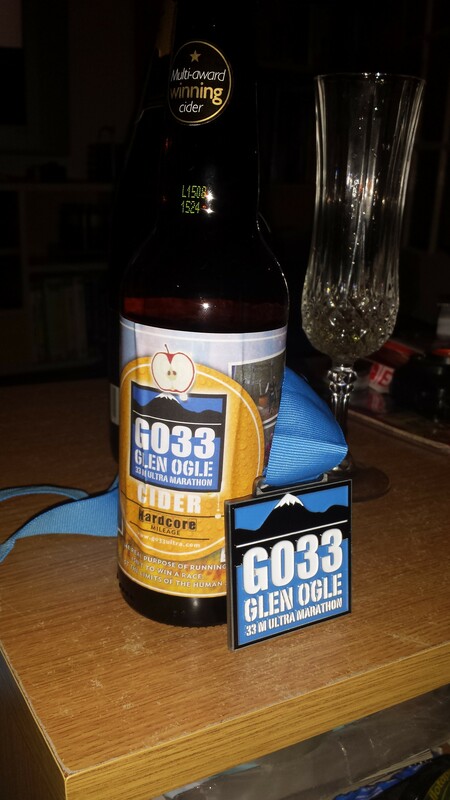 The Glen Ogle ultra was my first attempt at racing distances over 26.2m around this time last year. 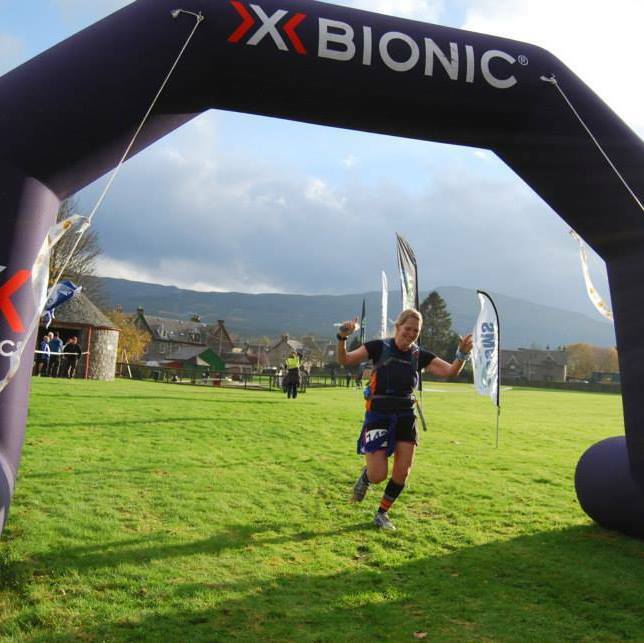 I had done all the training for Loch Ness and keeping the miles ticking over until race day 6 weeks later had been pretty easy and enjoyable. I had no major injuries and my legs were feeling good come race day. Fast forward a year and it’s take 2 of the same events, but stick the Jedburgh half, a cold and a sore hip into the mix and you can just about imagine how I felt as I rocked up to the start line this year. I had been looking forward to the race for months. I put my name down as soon as entries opened and then with so much other stuff to focus on in my racing calendar (including my 45 min 10k and sub 4 hour marathon! ), completely forget to get excited about it until about a week before race day! 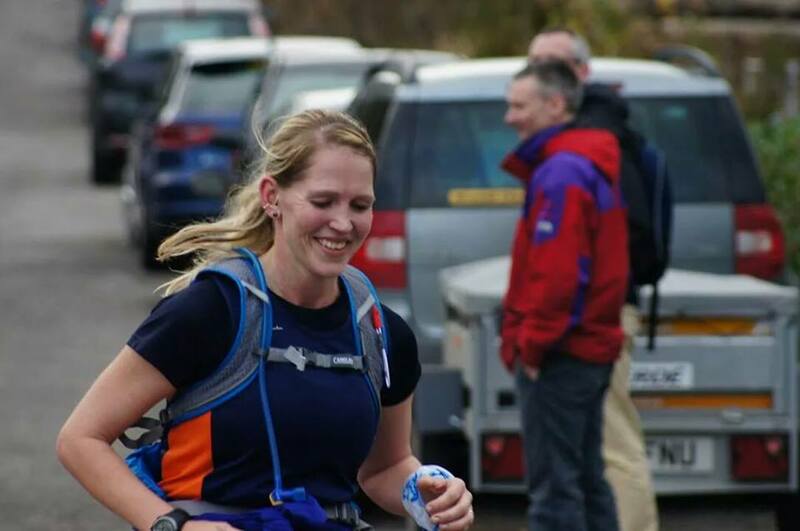 On the Friday evening before the race, Jemma made the 300 odd mile journey down from Ness in the Isle of Lewis to meet me in the central belt and not 10 minutes after she had got off the coach, we were stuffing out faces with pizza and catching up on wedding planning gossip. Priorities first of course! After filling our faces with a substantial number of carbs, we headed back to mine where we sorted our drop bags and kit and after some cheesy tv we headed off to catch z’s and prepare for the super early start the next day. 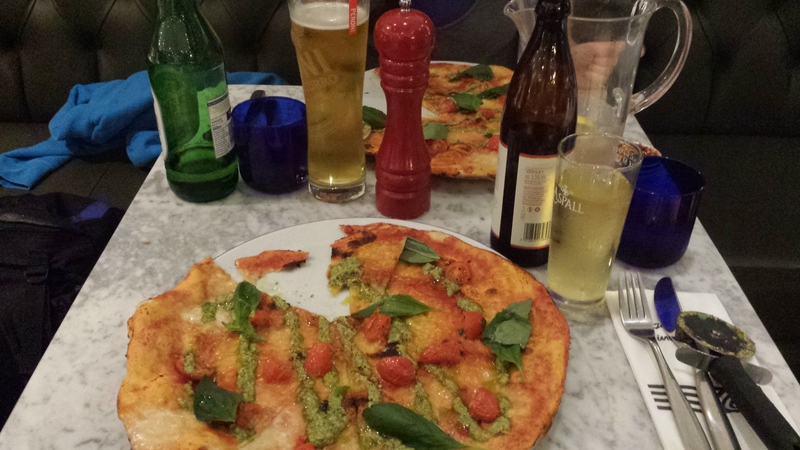 My perfect pre race dinner! Taking way less than I did last year! 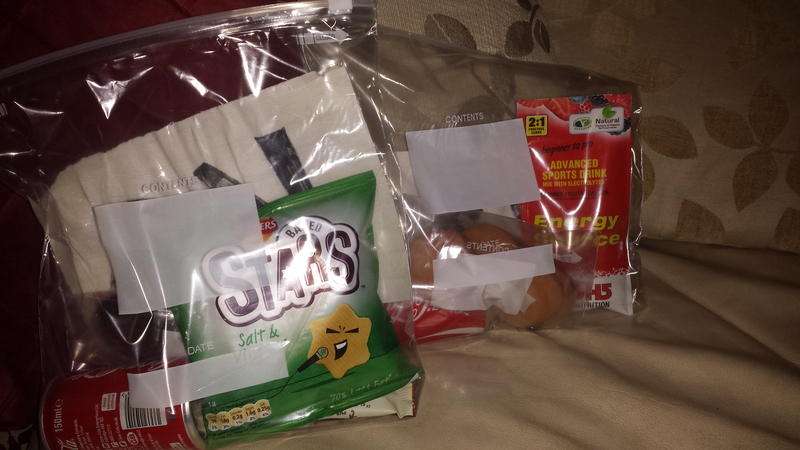 Once again didn’t eat even half of it, but the coke was definitely a saviour! My alarm went off just before 5am and after having an amazing breakfast of porridge with nutella and blueberries and a vast amount of coffee, we were in the car and on the road over to Killin. 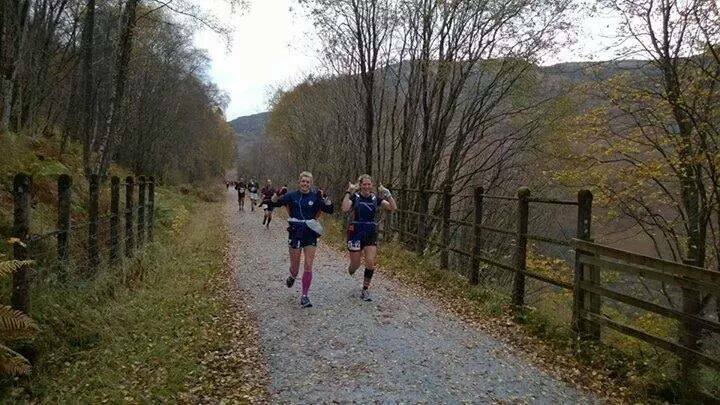 This year there had been a slight adjustment to the route at the last minute meaning we were no longer starting in Strathyre and were going to do the route in reverse with a little bit extra added on at the end. This meant all my lovely down hills near the end were going to be up hills near the end and vice versa… nothing like a last minute shake up to keep the mind alert 30 odd miles later! After registering and meeting up with the other Wee County Harriers, we had a quick briefing from Bill and Mike and before we knew it, we were walking round to the very narrow trail where the race would begin. The weather was very, very mild and any worries of a repeat of last years weather eased off and I decided to run in a long sleeved top with just a t shirt underneath. Jemma was so confident about good weather she didn’t even take her jacket with her! The first few miles were very stop/start as we tried to find our pace while avoiding puddles and having to run along a very narrow track. Soon enough we were spat out onto a road for a few hundred metres before taking a sharp left and beginning a short climb into the bottom of the forest loop which we had met at about 17 miles when the route was the other way around last year. The positive thing about this would be that one of the worst climbs was out the way within the first 4 miles! I ran with Kirsty, trying to slow our pace down and not set off too quickly on fresh legs or get carried away too early on. We were having so much fun, walking the steep climbs and flying down the descents and having a good chat the whole way round. We passed through the first check point and began our descent down the cycle path towards Lochearnhead, forcing down a gel at 6 miles and keeping the pace steady and consistent. The weather looked like it really was going to stay in our favour and I had to take my long sleeved top and buff off as I was already getting too hot! Spotting the camera from afar. As we approached the very steep descent on the zig zags just as we came into Lochearnhead, I felt a horrible twinge in my back and began to panic. This was too early for things like this to be happening!! I hoped it was just because I had quite a lot of water in my pack and it was slightly heavier than usual, so I decided to empty some of the weight out as we continued to fly along the cycle track and immediately noticed a difference. Fingers crossed I wouldn’t come to regret that decision later on in the race!! Kirsty was looking a lot stronger than I felt, so I made the decision at that point to push her on if the time came where I needed to pull back. She kept saying she was going to stay with me, so we pushed on and continued to enjoy the run. We passed through check point 2 and once again didn’t stop. I forced a few shot bloks in my mouth and we decided to walk the next few hills and shake out our legs a bit. The next few miles were the ups and down round to Balquhidder which was the point where I had wanted to quit last year as my whole body had gone numb from the cold. 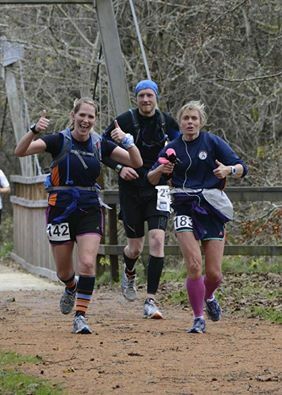 This year we were just over 13 miles in and feeling warm (and dry!) and still pretty fresh, so it felt good to be able to push through and conquer our demons. We ran on, all the way round to just before we got to Strathyre where we clocked a hill and both gave a little yell of delight as we were both in need a walk! The constant pavement pounding was beginning to make my back hurt again and we were starting to tire a bit. However we knew that Richard from out club was waiting, camera in hand, to cheer us on in Strathyre, so we flew over the shoogly bridge with our arms in the air and cheered at him as we ran by. We stopped briefly at checkpoint 3 to pick up some coke and a few jaffa cakes and within 2 minutes we were back on the path back to Killin. This is the point where my mind started to play mental games with me and I gave in to it. I needed to go to the loo and Kirsty said she’d walk on so I could catch her up, but I felt like I was holding her back so I told her just to push on and I’d try and catch her eventually. I was glad I did tell her to go on and she ended up smashing her last years time by 9 minutes, but once on my own, I really started to struggle. The climb back out of Lochearnhead killed my already trashed quads and the zig zags felt steeper than ever before. Once at the top I tried to keep my head up and look ahead and ran to a set of gates before letting myself walk again. I pulled out my ipod and an upbeat playlist helped me push to the top of the cycle path and road crossing back to the forest. On entering the final check point I was handed my drop bag by the ever super cheery marshals and quizzed about my socks once again. Noanie and Bill ushered me across the road and after being told I only had 4 and a bit miles to go, I decided to really dig deep and go for it. The wonderful Ruth Howie got the crowd cheering as I passed by the snack van and they made such a racket I felt like I’d finished – what a fabulous sound! Just before I started my descent back into the forest the amazing Robin Wombill told me I had a fabulous smile and grinning from ear to ear, I flew round the next 2 miles of the forest track feeling like I had a second wind and it was time to finish this race with power. I looked at my watch for the first time in hours and realised I’d passed the distance of last year course and was still under the time it’d had taken me to do that, so even though I was feeling a lot sorer I was actually performing (albeit just slightly!) better. I got to the bottom of the forest track, turned left back onto the main road and followed the road over the Falls of Dochart and back down the high street towards the finish line in the sports field. Through both utter fatigue and it not being that well signposted, I couldn’t for the life of me tell where I was meant to go to get to the finishers arch, until I saw a High Vis clad figure that was Angela, waving her arms in the air and jumping up and down to get my attention. I squelched over the grass, grinned and punched the air as I fell over the line and collected my second Glen Ogle medal. Once we had cheered everyone in, we headed to the Inn at Strathyre for our soup and a drink where we caught up with various people before heading home for plenty of good food and some well deserved drinks. I know I wasn’t feeling 100% on race day and it showed in my results, but it just shows that you can’t work for so many different goals in one year and expect a good outcome in all of them. 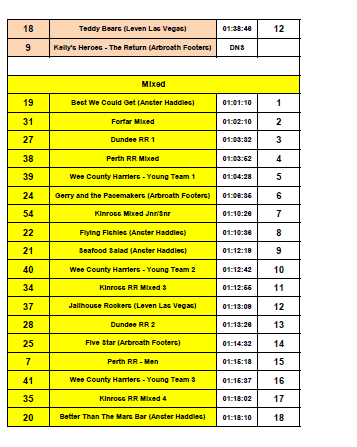 My speed will take a back seat next year as I want to focus on distance and power and with my eyes on the D33, Cateran 55 and DOTH next year as well as Glen Ogle round 3…something will have to give for a while. It’ll probably be my knees, but we’ll see!